During our ride down Route 395, and while visiting the great Mono Lake Visitor’s Center, a Ranger guided us toward the town of Bodie – the largest Ghost Town in the West. 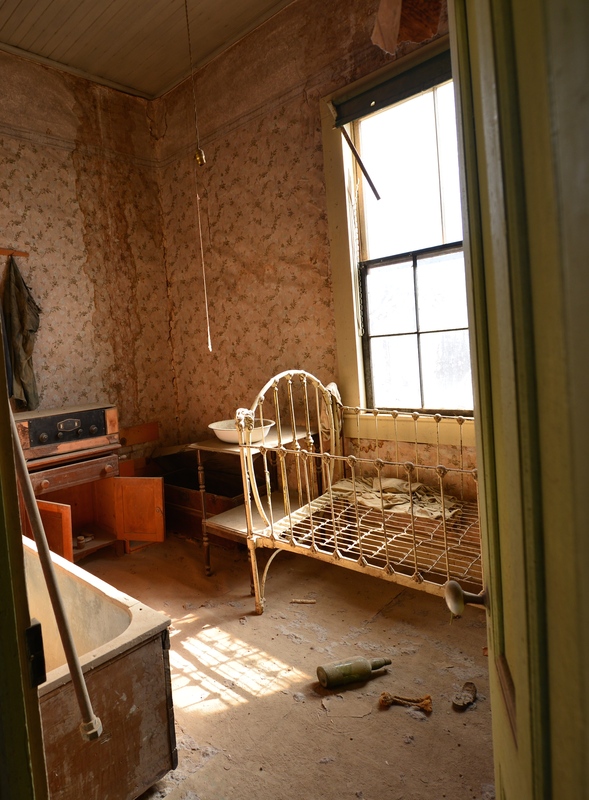 Bodie was quite the happening place in during the Gold Rush years of 1859 past 1881. Founded when Waterman S. Body discovered gold here. The town gained notetrity with the discovery of gold along the Eastern Sierra (as the Western side of the mountains had been striped of gold. The Comstock Lode in Nevada (known even to this East Coast girl – er women) was a huge strike and started a rush to this High Desert country. Three breweries, numerous restaurants, gaming halls – Sounds like Vegas! wonder if they had Happy Hour? Murders, shootouts, barroom brawls, and stagecoach holdups were regular occurrences. The conditions here were wicked. Snow as high as 20 feet (Donald says this is what Buffalo NY was like without the gold strike..), winds up to 100 MPH, temps as low as 30 degrees below zero. Many transplants were not prepared for these extreme conditions and die of exposure or disease. Between 1860 and 1941 the Standard mine produced over $100M in gold and silver. Standard was only one of 30 mining companies that operated in the area – a major cause of the large influx of miners, gamblers, entrepreneurs. In 1878 the population grew from 20 to 10,000 people. Bodie was one of the first communities where electricity was provided over a distance – 13 miles- via a newly built hydroelectric plant built on Green Creek. Electrical lines were laid in a straight line as it was thought that the current could not travel around corners. 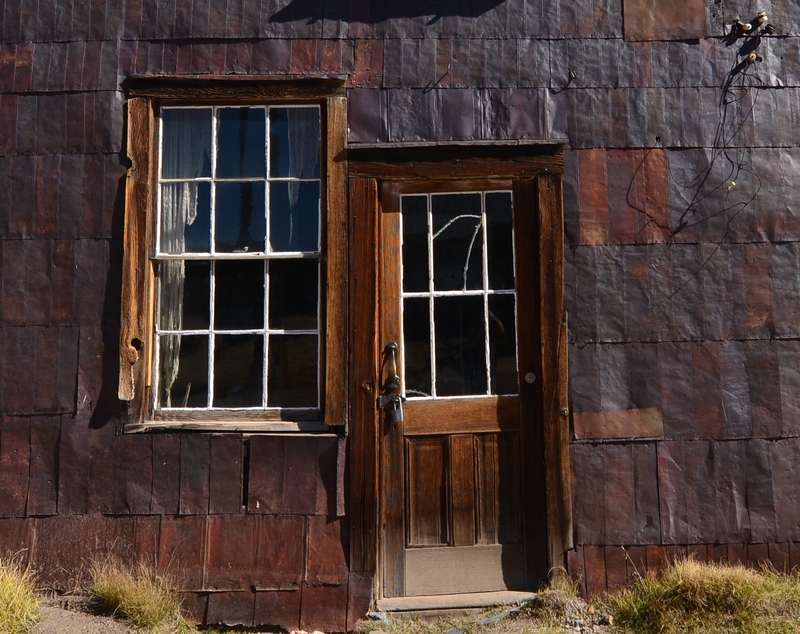 As with other remote mining towns, Bodie had a popular red light district on the north end of town. Bodie tales include the story of Rosa May, a prostitute who, in the style of Florence Nightingale who came to the aid of the town menfolk when a serious epidemic struck the town at the height of its boom. She is credited with giving life-saving care to many, but was buried outside the cemetery fence. Bodie had a Chinatown with several hundred Chinese residents at one point, and included a Taoist temple. Opium dens were plentiful in this area. 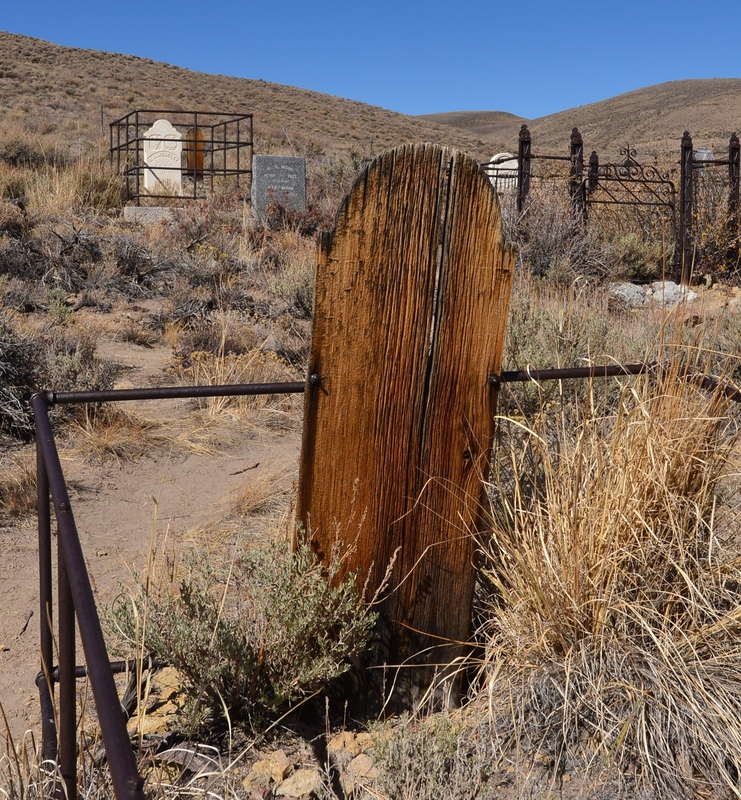 Bodie has a cemetery on the outskirts of town and a mortuary which is the only building in the town built of red brick three courses thick for insulation to keep the air temperature steady during the cold winters and hot summers. The town’s buildings & contents survived due to protection from guards who shot anyone removing or destroying objects or buildings. Once the mines were depleted, people deserted the town, leaving their possessions behind in houses, businesses, schools, churches. 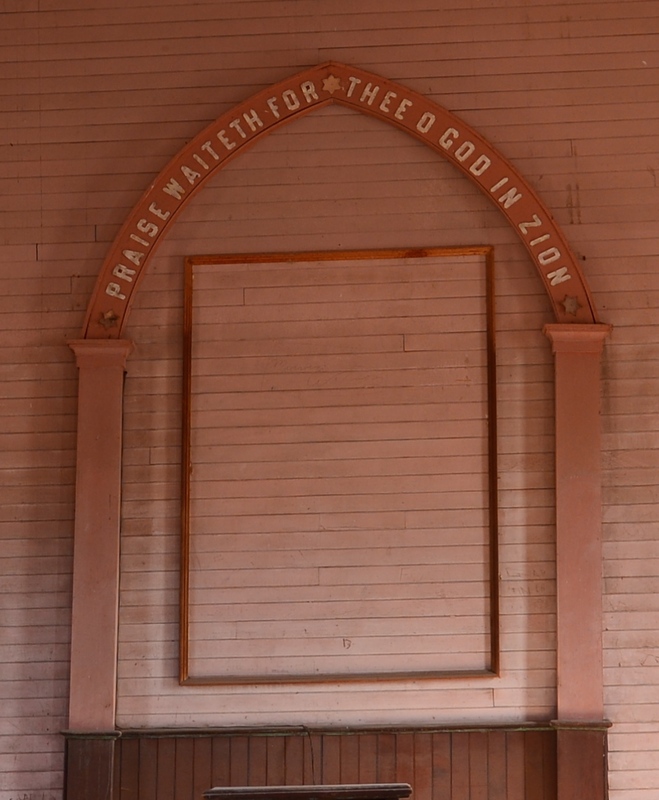 Those items remain in place – waiting to be used again. The Park maintains buildings and contents in a state of “Arrested Decay” – not restoring but allowing buildings to slowly collapse in place. I think this place looks so cool. Another blogger was just through the area, as well. What really caught my attention was the items all still in the buildings…time is standing still. And as you mentioned, waiting for the people to return. Can’t wait to visit in the future, hopefully, real soon! 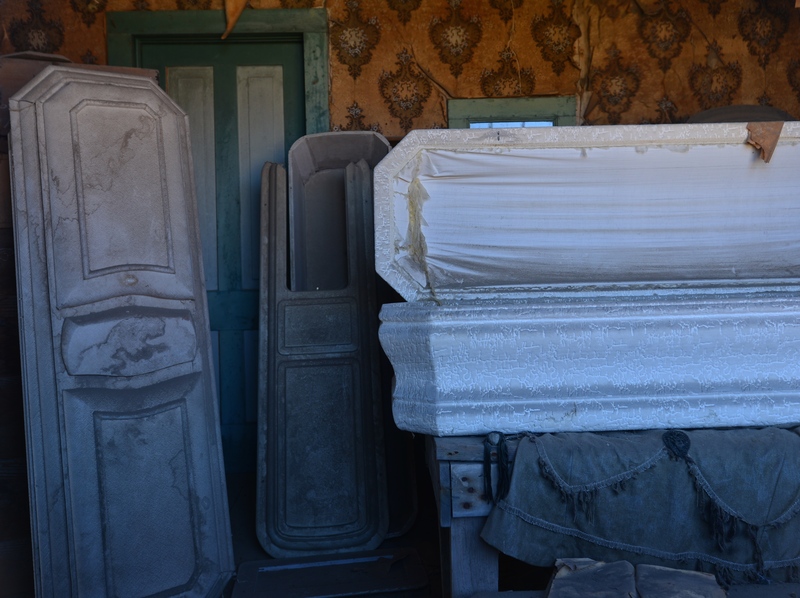 Oh yes – one of the most interesting things was the original items inside, including caskets, a globe in the school. Amazing! We loved visiting Bodie. It was as if the residents just vanished out of thin air. as a fellow visitor said – it as as if they expected someone to come in behind them and move in – or clean it up! an interesting and unusual place….. Some great pictures Gail! Wishing our degrees included sorting garbage, so far just schlepping cans… One day hope to join you and Don on your adventure – been drinking wine for a long time, can certainly offer “grape input”!